Beans are one of the healthiest foods you can eat. They’re high in fiber, potassium, magnesium, folate, iron, zinc and protein. In fact, beans are one of the cheapest ways to get the most nutrients per calorie. They also help lower blood cholesterol, blood pressure, and help manage blood sugars. 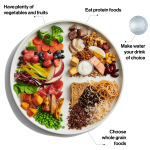 However, despite their benefits, beans and pulses are not a staple in the standard North American diet. 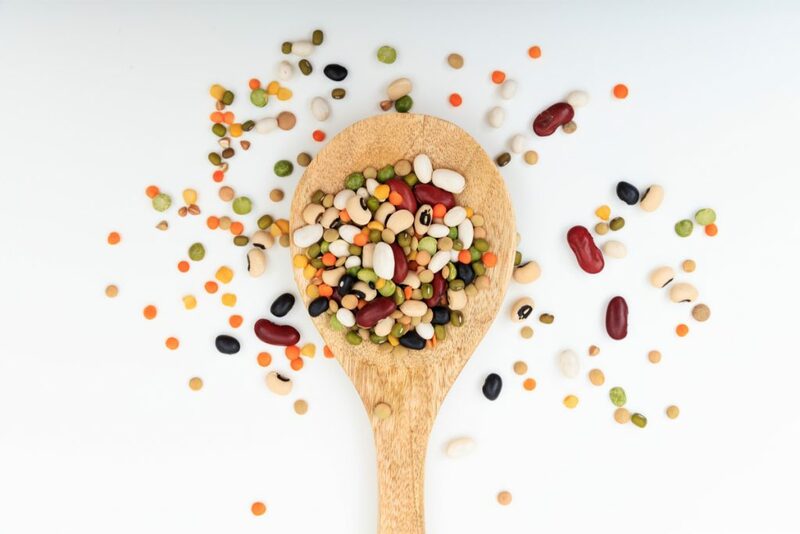 Only 8% of Americans and 13% of Canadians consume pulses on any given day. It’s not the taste of beans that is holding people back from eating them. Beans are one of the most notorious foods for causing gas and bloating. There’s even a playground song about the musical properties of beans. If you are one of the many consumers who avoid eating beans because of the fear of gas, don’t worry! There are tips and tricks to help you beat the bloating you get from eating beans. But first, let’s take a look at why beans cause gas and bloating in the first place. Beans are high in protein but also carbohydrates. One type of carbohydrate in beans are oligosaccharides. Our body doesn’t digest oligosaccharides well. Instead, they are digested by our gut bacteria. This is why beans cause gas. The gas is a byproduct of our gut bacteria digesting these carbohydrates. If this gas is trapped in our gut, we may get that bloated feeling. Because beans are high in fiber, it’s important to increase your fiber intake gradually to avoid gas, bloating and constipation. Water helps keep things moving in the gut. Staying hydrated is especially important when introducing high-fiber foods (like beans) into the diet. If you soak your beans in water before boiling, some of the oligosaccharides in the beans will stay in the water. Discarding this soaking water can reduce oligosaccharide content by up to 58%. If you prefer not soaking your beans, discarding the cooking water before adding the beans to your final dish has a similar effect. Adding baking soda into the boiling water makes the water alkaline and can help reduce the oligosaccharide content. This will also help the beans cook faster! Like with soaked beans, some of the oligosaccharides are in the water the beans are canned in. 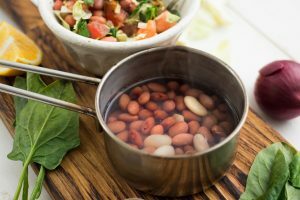 Be sure to rinse your beans before adding to your meal to reduce the gas-forming oligosaccharides and some of the salt too! Carminatives are substances that help relieve gas. Many cultures that use beans in their traditional foods use carminatives in their cooking. For example, epazote is a herb similar to oregano used in Mexican cooking, asafetida is a spice used in Indian cooking, bohnenkraut is used in German cooking, cumin in the Middle East, or kombu (a type of seaweed) in Japanese cooking. How well these spices and foods reduce gas in beans has not been researched extensively, but they’re worth a try! If all else fails, try using over-the-counter digestive aids such as Beano or Gas-X. These products contain enzymes that help you digest the oligosaccharides in beans and improve your tolerance to a high-bean diet. But remember why beans cause gas in the first place! The gas is a sign that oligosaccharides are getting broken down by our gut bacteria which is a completely normal process. Studies show that this might even be good for our digestive tract. 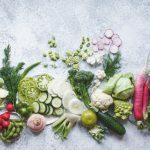 Oligosaccharides are considered prebiotics which support the growth of gut bacteria. One study showed that it takes the body only 4-8 weeks to adjust to the extra gas from beans. But if you find that you’re always bloated and gassy after a meal, it might not be the beans. 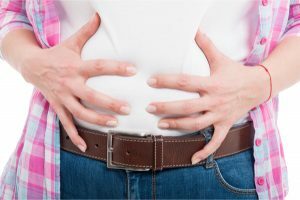 If this is the case, make sure you speak with a dietitian or doctor to help relieve any digestive discomfort. So go ahead and enjoy beans in your salads, soups, and curries. Do you have any other tips for reducing the gas from beans? Share your strategies in the comments below!